Sam Briggs started work at a Shrewsbury solicitors as a work experience pupil a decade ago and has returned to oversee the firm’s communications and marketing activities. Sam has been recruited by Wace Morgan Solicitors, which has three offices in Shrewsbury and one in Newtown, mid Wales. He explained that he has always had an interest in the legal profession and ten years ago, spent his summer holidays from school working at the firm. 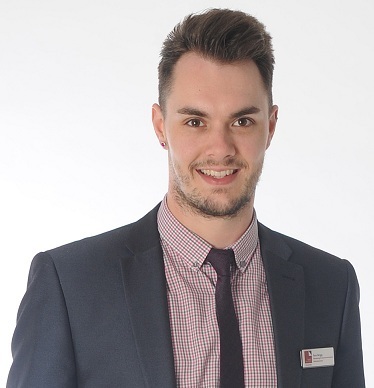 After jobs in office administration, insurance and IT in Stoke and Worcester, he has returned to Shropshire to the post of marketing and communications administrator at Wace Morgan Solicitors. He is now responsible for organising events, arranging sponsorship, advertising, promotional goods, printed literature, billboards and also assists with IT, telecoms and general business administration.